Wes Roper joined the financial services industry in 1998 after spending more than a decade as the head wrestling coach at the University of Missouri-Columbia. 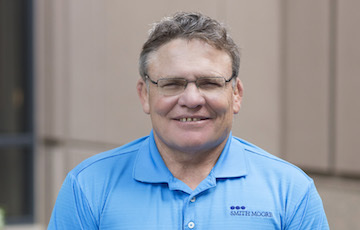 In utilizing his many years of experience in this industry and as a long-tenured coach, Wes is able to help his clients plan ahead as they prepare to meet their financial goals on their terms. Wes takes pride in being able to assist retirees and pre-retirees with generating income by making use of a variety of investment options. Wes wants his clients to know they’re unique, and therefore they must develop a plan that helps them achieve their respective dreams. Wes graduated from the University of Missouri-Columbia with both a Bachelor’s and Master’s degree in Education, and he is a CERTIFIED FINANCIAL PLANNER™ (CFP®).